Regardless of one's religious, cultural or ethnic heritage, Ol' Myrt here recommends creating your own database on your computer. Use a program like RootsMagic. Backup the database using something like BackBlaze. I also sync a copy of everything I have in the cloud using Dropbox. These two programs ensure anything you type into your RootsMagic will not be lost if your computer dies. Don't venture out on to the web until you have documented your current thinking on your family, i.e. children, self, spouse, parents, in laws and grandparents. This could take months, considering all the documents and photos you've got to gather, scan and attach to the appropriate ancestors, siblings and descendants. You will then be able to avoid rehashing the mistakes in online trees. Understand that the "single tree" idea at FamilySearch is good in theory but has been spoiled by inexperienced genealogists who add inaccurate lineages. I've had to change my Uncle Jack's profile to "living" three times. There was someone else by the same name who died a few years back about 20 miles away from where my very healthy uncle lives. There are similar problems with literally every online tree website. The reason I recommend RootsMagic as your personal genealogy program is that it interfaces with FamilySearch and MyHeritage. By the end of 2016 it will also sync with Ancestry. It is the only program that has as many interface options. Remember, my initial request is that you concentrate on data entry documenting your immediate family. This will train you to use the program, attaching your collection of scanned photos and all documents. It's also appropriate to add notes about your recollections of these people, along with descriptions of certain events in each person's life. For instance, your genealogy will be more meaningful if you include notes with a picture to describe the day your child was baptized. What you recall about the day, who else was there, how you felt as you watched your child come out of the waters of baptism is an important part of who you are. Your posterity needs to see this in your work. 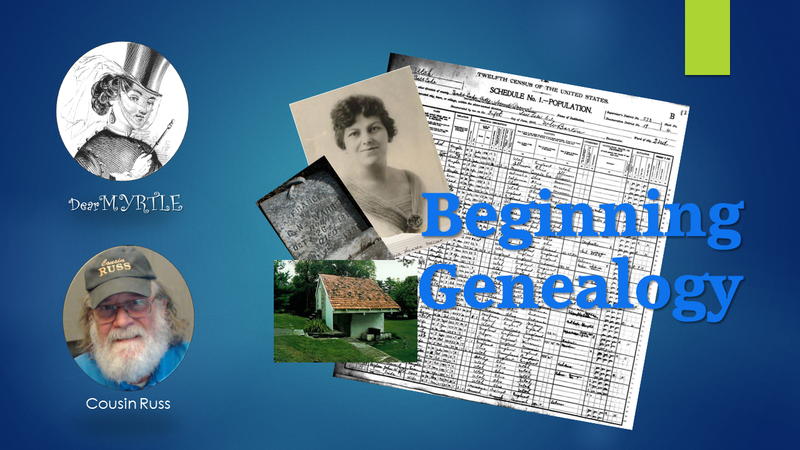 Our genealogies should be more than a list of names, dates and places. Citation is a big deal. If your source for your parent's marriage date is your mother at this point, list her as the source. Update your to-do list to include obtaining a copy of your parents' official marriage certificate. We want to move from personal recollections to documented facts. As you progress in your research, you'll work with a variety of surviving original records online, on microfilm and in textual format at archives and libraries. These documents directly or indirectly provide evidence of a person's identity and family relationships. Sometimes there will be conflicting evidence to be resolved before we can arrive at a conclusion about a person's identity or a family relationship. By then you'll be ready for training on how to weigh the evidence including your understanding of the informant's motivation.